Expired 1mo ago . Last validated 1mo ago . Used 10 times. armando I am validating that this deal works as described, use the promo code at checkout to claim your 15% off. Julio Sanchez I have tested this deal and is working as described. 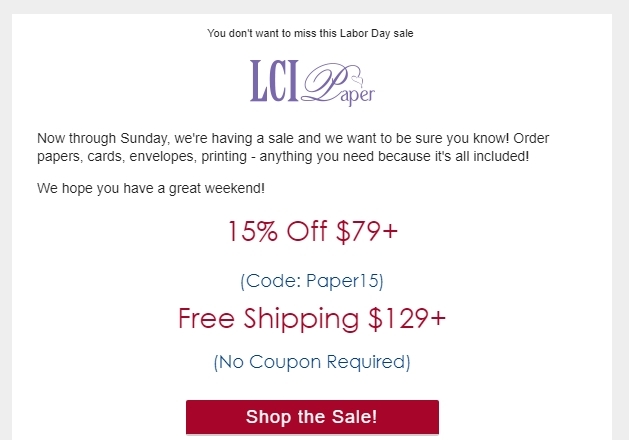 Place it at the check out of LCI Paper and enjoy the discount. Jesus Brito I am re-activating this expired deal. I will update it and validate that it works. 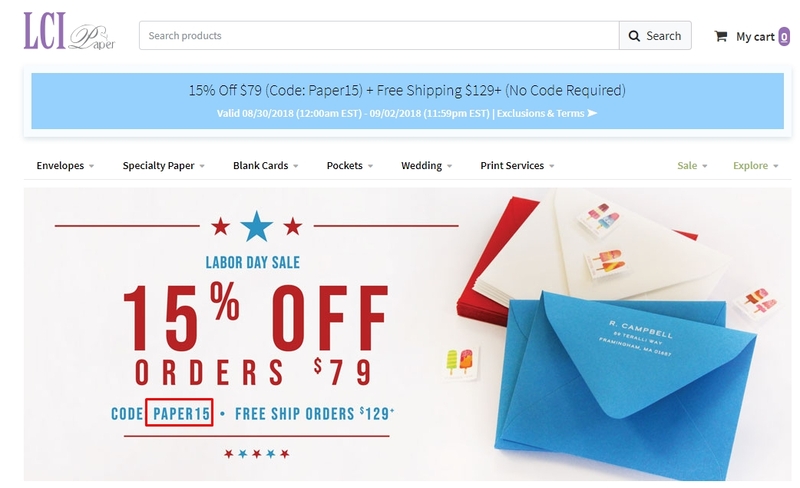 Just use this promo code: Paper15 at the checkout process to get the discount. IGNACIO ANDRADE I am validating that this deal works as described. Just enter this code during the checkout process to apply this discount. 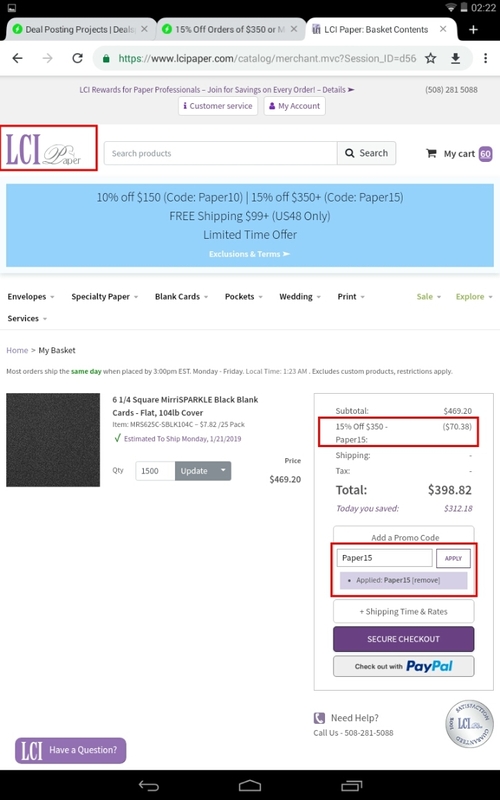 Pedro Simply enter the code during the checkout process to apply this discount. cannot be used with other promotions or discount codes.